Katowice is a Polish town located in Silesia. The town is situated at the foot of Silesia Heights. Katowice has a population of 310 thousand people. Since the formation of the Silesia chieftaincies, Katowice was the capital. The region where today is located the town of Katowice was inhabited by ethnic Silesians. After 1335 it became part of Bohemia. In the early sixteenth century the city became part of the Habsburg dynasty. This happens after the death of the Bohemian and Hungarian King Louis II. In 1742 most of Silesia was annexed to Austria. Katowice received city status in 1865. At that time, it flourished mainly because of coal mining. After eight years the city became the capital of the Katowice area. In 1899 the city is seceded from the municipality and becomes an absolutely independent city. In 1918 Katowice became part of the Second Polish Republic, while retaining autonomy. In 1939 the city was occupied by the Nazis, which continues to 1945. In 1953 the town got a new name - it is called Stalinogród in honor of Soviet dictator Stalin. Since nobody in town accepts that name, three years later the old name of the city is restored. After World War II the city gradually recovered from the damage and turned into a thriving modern city and a favorite tourist destination for people around the world. 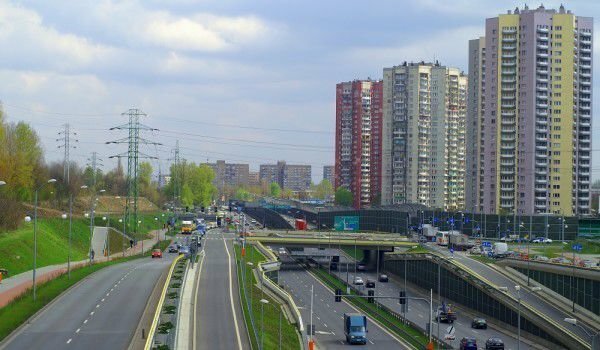 Katowice is a part of the most densely populated and most urbanized region of the country. The period of greatest prosperity of the city was in the fifties of the twentieth century, when in Katowice built factories for the production of metal and coal mining. At the end of the twentieth century, heavy industry was losing its importance in comparison with previous periods, so the city focused on trade development and implementation of small enterprises in the economy. However, mines and factories continue to operate. Katowice is a place where every year are held trade fairs. The town has an airport, which greatly facilitates access to the city. Nowadays Katowice is the main scientific and educational center that offers a great opportunity for tourists. Most of the buildings downtown were built in the period of the Polish People's Republic, but there are many architectural masterpieces of the nineteenth century. One of the most spectacular buildings in the city is Spodek, which is a huge hall. It held the most important and biggest musical events in the country. The cathedral in Katowice, which bears the name of Christ the Savior, is a classic building in baroque style, built from dolomite in the period from 1927 to 1956. The Neo-Gothic Catholic Church of the Holy Virgin Mary, built of dolomite in the period 1862-1870 is one of the most attractive places for tourists. City Theatre, built in 1907, is a masterpiece of architectural art. The Historical Museum presents the history of the city and it has room for arts, archive photos and a science education department. The Division of Art presents a collection of paintings, interior items and crystal. In the park of Katowice is an astronomical observatory and planetarium. This impressive building performs research projects and organizes spectacular performances that help people understand the details of space in an interesting way. Because of the faster developing economy of the city, Katowice is increasingly the preferred destination for tourists.